Co-Founder, Creative direction, Branding, UX research, UX & UI Design. 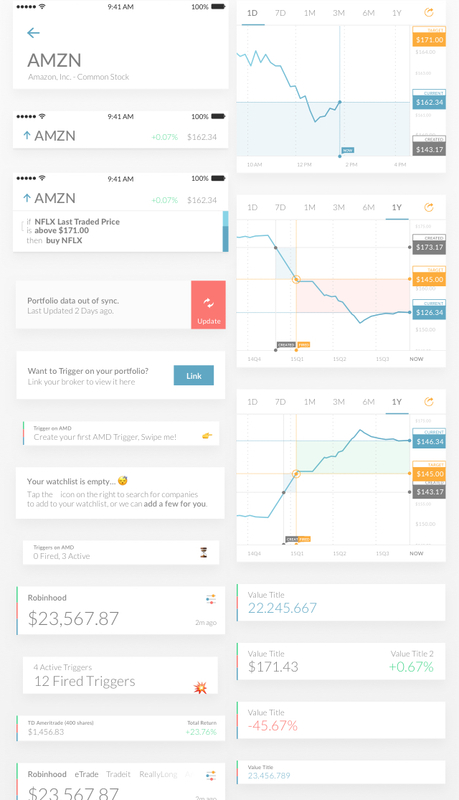 Worked closely with the founding team at Trigger finance to build the first mobile rules based investment tool for the retail investor. The goal was to take their proof of concept and turn it into a simple yet powerful experience that would allow investors to track the market and trigger on financial events in real time. 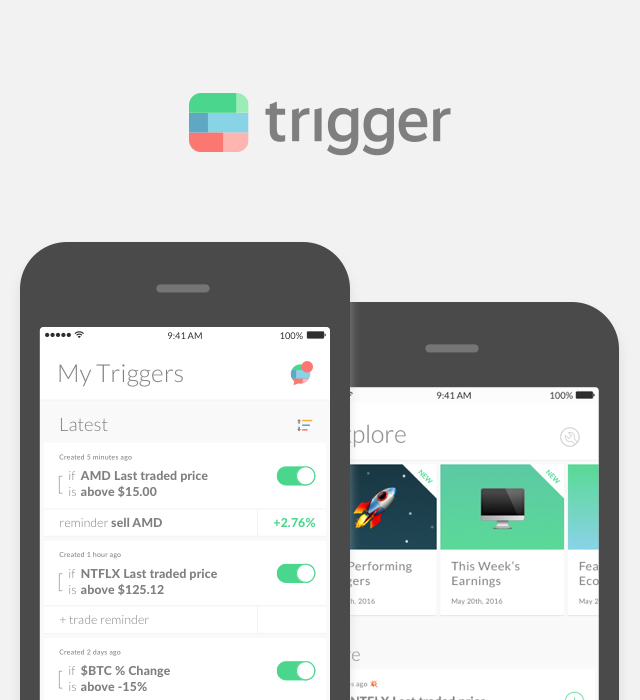 At its peak, 30,000+ Trigger users where managing over $180MM. 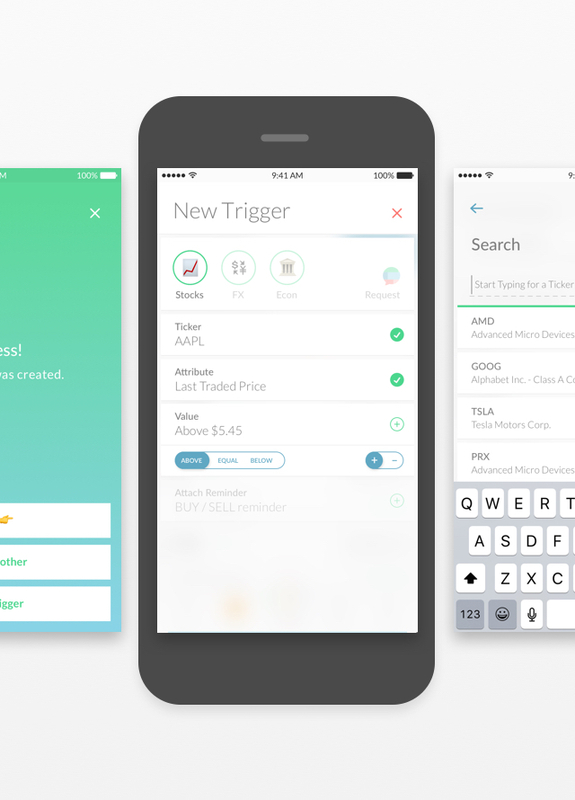 Trigger Finance was acquired by Circle in 2017. Being involved from such an early stage (pre-MVP) meant becoming a design founder and help shape the values and vision of the company during the Branding process. Together we created an identity and an interface that was airy and fun for the retail investor, while still being extremely functional and powerful for the enterprise market. Trigger consumes a large amount of data types and sources; â€¨I developed a modular UI system that could be easily adapted to accomodate any dataset. Developers were able to quickly iterate, test, and deploy without any design overhead. In our first year, we acquired 30,000+ users with a combination of word of mouth and content marketing.